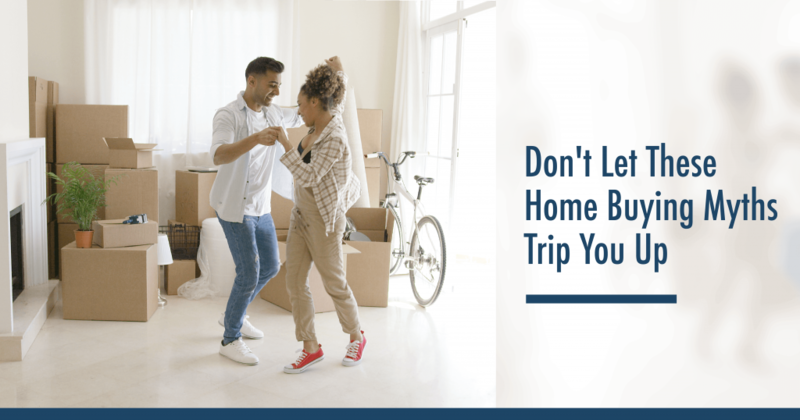 Top 10 Myths That Trip Up First-Time Home Buyers - Smith Real Estate Services, Inc. If you’re thinking about buying a home, you’ve probably received your share of advice from family and friends. Add to that the constant stream of TV shows, news segments, and social media posts that over-simplify the home buying process for easy entertainment. Real estate is a business where everyone thinks they are an expert. This is a problem that with so much information to sift through, it can be tough to distinguish fact from fiction. That’s why we’re revealing the truth behind some of the most common home buyer myths and misconceptions. If you need a referral to a lender you can trust, ask me, we have several we can refer to. Your agent is with you every step of the way throughout your home buying journey, and he or she spends countless hours working on your behalf. It sounds like having an agent is expensive, right? Well, not for you. Buyers usually don’t pay a real estate agent’s commission. Your agent’s fee is paid for at closing by the seller of the home you’re buying.1 The seller knows to factor this cost into the property’s total purchase price. This can be like having the “Nordstrom” experience for free, so get the best professional you can find. They can be the difference in whether you get your dream home. We are happy to chat with you so you can decide if we are the professionals for you, without any pressure. They can create a search for you in the Multiple Listing Service (MLS), so you get notifications for every house that meets your criteria as soon as it hits the market. The MLS is typically more up-to-date than popular home search sites like Zillow and Trulia. Setting up a search a few months before you’re considering buying gives you a good idea of what’s out there in your town that’s in your budget. Reviewing the MLS and speaking with a professional agent as soon as possible can help you set realistic expectations for when you actually start the house hunting process. We’ve all watched the shows on HGTV that encourage people to go after fixer-uppers because they’re more affordable and allow buyers to eventually renovate the home to include everything on their wishlist. It may look that way, but this isn’t always the case. When looking at fixers, you need to know the After Repair Value (ARV) of the home as well as the cost of the renovation itself. How much house you qualify for and how much you can afford are two totally different numbers. When you get pre-approved for a mortgage, your lender will look at your income, debt, assets, credit score, and financial history to determine how much money you might qualify for.4 For some people, this number might be much higher than you thought because lenders tend to approve for the highest amount they think you can afford. But that doesn’t mean that’s how much you should borrow. Whether you’re a first-time buyer or a seasoned homeowner, there’s no reason to go through the home buying process without an advocate on your side. We’re here to answer your questions and do the hard work for you, so you can spend your time dreaming about your new home. Let’s schedule a free, no-obligation consultation today to get you on the road to home ownership.